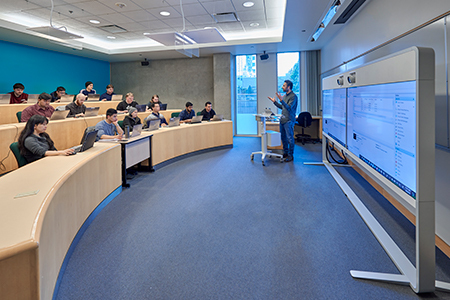 The Technology Support Professional program offered by BCIT's High-Tech Professional Programs department is a 40-week blended full-time program designed to get students ready to start a career in information technology. It is an ideal program for individuals with no previous background or education in computing and those who need to retrain or upgrade their present computer skills. This blended program offers students the flexibility to complete the program with classes being offered face to face and online minimizing the time spent in the classroom. Read more about how two Technology Support Professional grads benefited from a solid foundation of IT skills. Students graduate with an industry partnership certificate from BCIT, working experience in a real environment with relevant, in demand industry certifications. Learn more about the TSP flexible program model. Read about two Technology Support Professional grads who benefited from a solid foundation of IT skills.